Did you know that the average American throws away hundreds of pounds of food every year? That’s a lot of wasted food and a lot of wasted money! 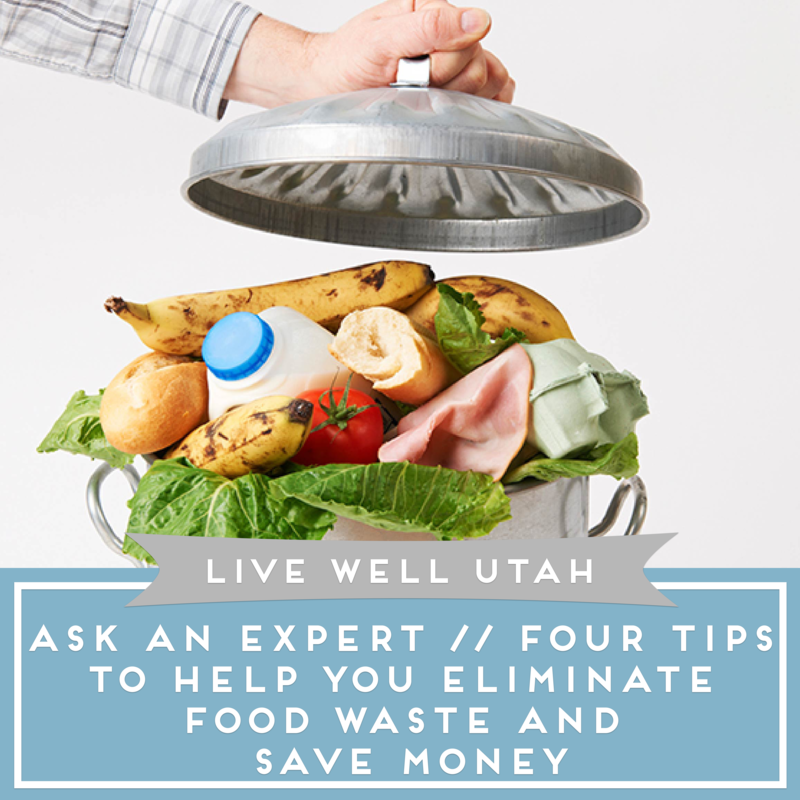 These helpful tips from Melanie Jewkes, USU Extension associate professor, will help you cut back on food waste. The average American throws away nearly 275 pounds of food each year. The USDA estimates between 30 to 40 percent of America’s food supply is wasted. Not only is good food wasted, but good money, too, equating to about $390 per year per person. While no one should eat unsafe food, consider these strategies to minimize food waste—and put the saved money toward a financial goal. 1. Use fresh foods first. Most fresh and perishable foods that have to be thrown away are simply forgotten. Shop with a list and a plan how you will use the food you purchase. It can be easy to over-purchase when there are sale items, or when many fruits and vegetables are in season, so be realistic about how much your household will eat. Place fresh items at the front of the fridge so you see them when you open the door. Make a list of your fresh foods and place it in a prominent place on the fridge. If you find yourself throwing away fresh produce often because it spoils too quickly, purchase reusable containers or bags that ventilate the air and keep water from sitting on the produce. 2. Store fresh foods properly. Apples can cause nearby produce to ripen or decay more quickly, due to a harmless ethylene they contain that causes food to ripen. To prevent this, keep apples in a produce bag or store them alone in a drawer in the fridge. Onions, potatoes and tomatoes last longer when NOT refrigerated. For storage tips, visit www.fruitsandveggiesmorematters.org. 3. Understand food “expiration” dates. These dates are not created equal, are not required by federal regulations (except infant formula) and do not necessarily mean food is unsafe or expired. Save money and minimize food waste by knowing the difference. a. The “sell by” date simply tells the store how long to display the product. Consumers should eat or freeze within 3-5 days of the date printed on fresh meat packages. b. The “use by” dates refer to peak quality, but are not safety dates (except infant formula). They are found most often on fresh and chilled foods like bagged salads. flavor. Even if the “best if used by” date has passed, it should be safe if stored and handled properly. Moisture, time and temperatures affect how quickly food spoils. 4. Use safe methods for preserving foods. Freezing is the quickest way, and most foods freeze nicely. Dehydrating, canning and freeze-drying are other options. Don’t preserve food that is going rotten, as this will affect the quality of the final preserved product. Be sure to follow safe USDA-approved food preservation and storage recommendations. 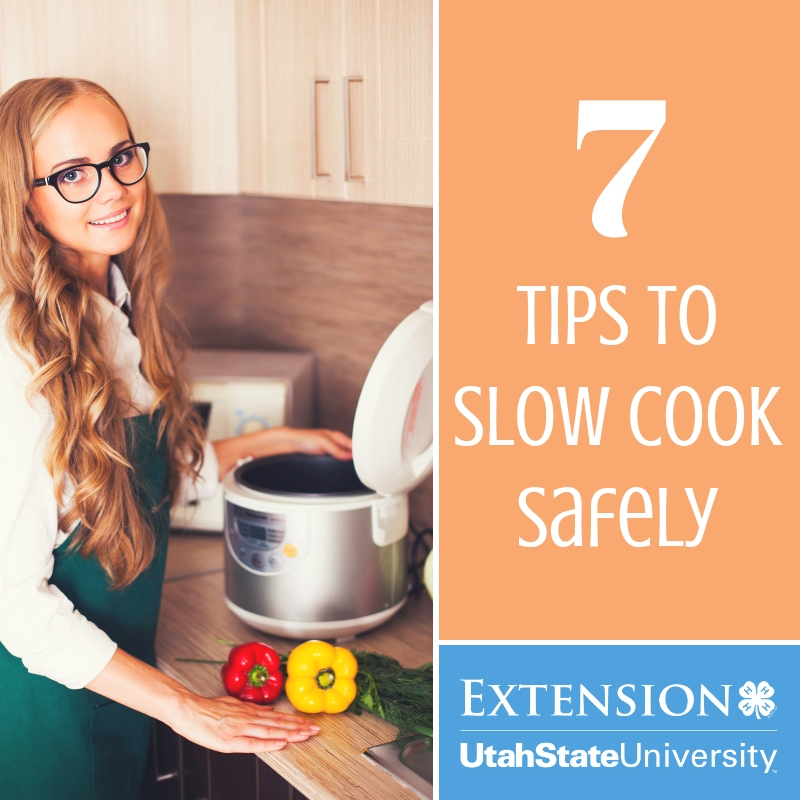 Check out USU Extension’s website extension.usu.edu/canning or contact your local county Extension office for further information. Do you have a surplus of canned fruit in your pantry? 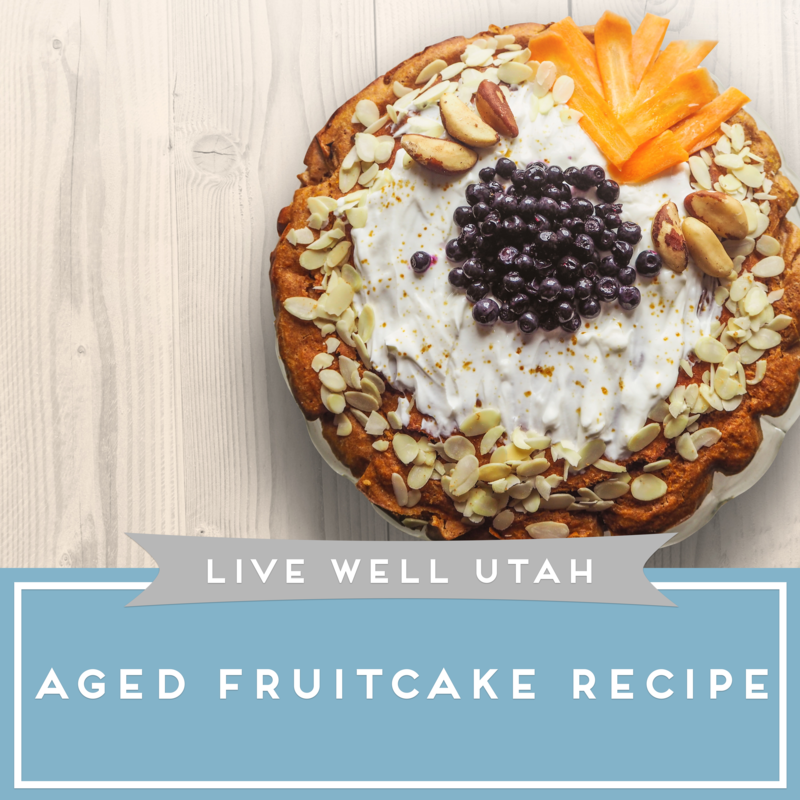 Use it up with this delicious fruit cake recipe! And remember, always practice proper food safety when preserving and using canned goods. This is an old Extension recipe for using up your bottled fruit. This cake is more like a pudding cake, rather than a light and fluffy cake. If old fruit is not available, canned fruit of any age, or fruit cocktail, works well. Serves 16-20. Blend fruit with juice in a food processor or blender (or use a potato masher—it need not be a fine puree). Add sugar and oil to fruit and mix well. Add remaining ingredients and mix. Pour batter in a non-stick 9×13 baking pan. Bake at 350 degrees for 1 hour. Cake is rich and can be eaten plain, but if frosting is desired, a butter cream or cream cheese frosting pairs well. Need a refresher? 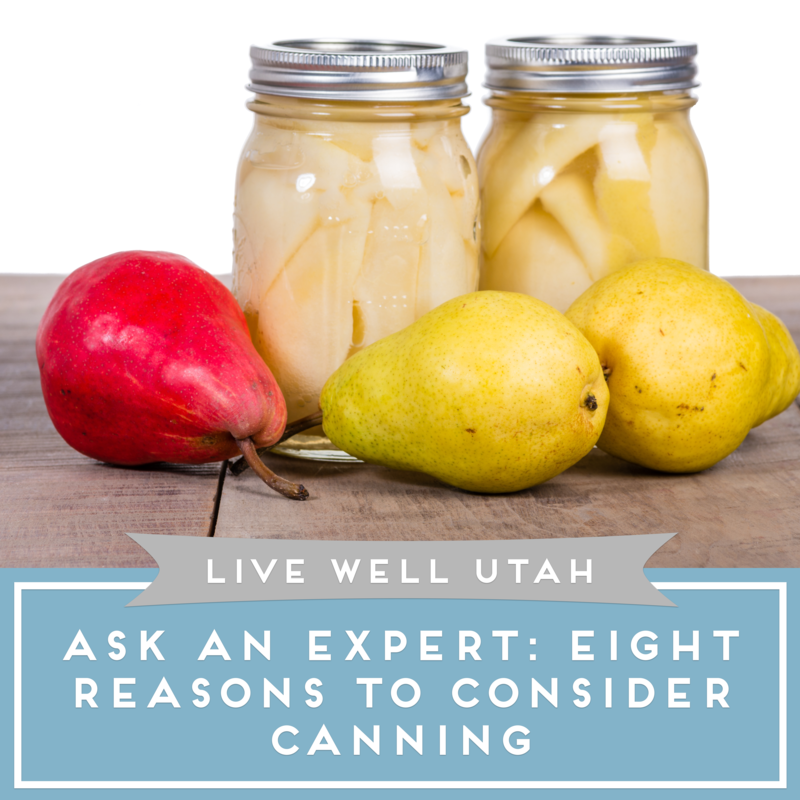 Click here for canning safety tips! Canning your produce can make your harvest go a long way. The practice is economically beneficial and preserves your gardening efforts! Now that gardens are planted and fruit trees are showing signs of small fruit, many people begin planning how they will preserve the harvest – canning, freezing, drying and even freeze-drying. However, even die-hard food preservers may ask at times if the efforts of growing produce and preserving are really worth it. Here are eight things to consider. Emergency preparedness – Preparing for potential job loss, earthquakes or other natural disasters serve as incentives for many to participate in food storage and preservation. Economically beneficial – Whether food preservation actually saves money depends on several factors: if you are able to grow your own high-quality produce; if you own the correct equipment in very good to excellent condition; the cost of electricity, natural gas or propane; and the cost of added ingredients and supplies such as sugar, pectin, lids, bottles or freezer bags. A first-time food preserver may find it cost prohibitive to purchase a new pressure canner, dehydrator, or water-bath canner along with all the containers, etc., but those can be purchased over time. Time saving – When considering this factor, it is important to think beyond the actual time to harvest, prepare and preserve the food. The time savings actually comes into play down the line when the convenience of having a bottle of stewed tomatoes or frozen chopped onions and peppers on hand to make spaghetti sauce alleviates a trip to the grocery store or time spent preparing these items fresh. Quality control – Time from harvest to jar or freezer is minimized when you can pick peaches in the morning and have them canned that same afternoon. Sometimes several days go by between harvesting/picking in a commercial orchard to the processing plant. Also, when it’s your hands sorting through the produce to make certain everything is cleaned and unwanted pieces are discarded, you are more confident in the overall quality of what you preserve. Flavor – In general, it is difficult to find commercially preserved foods without added salt, sugar, spices and in some cases dyes and firming agents or other additives. To a large degree, home preserved foods can be prepared with reduced salt/sugar and added spices in your preferred amounts. Health benefits – Those who have food allergies must always be on the watch for commercially prepared foods that have possible contamination from tree nuts, gluten and other potentially harmful allergens. Besides the freshness factor, when food is preserved at home, you are in control and can ensure that foods are properly prepared for your family. Reduced sugar recipes for diabetics and lowered salt content for family members with high blood pressure can also be used. Reduced food waste – Home gardeners often produce more food than can be harvested and used fresh. For example, rather than having many stalks of ripened corn go to waste, cobs can be shucked, then cobs or kernels may be blanched and frozen. Remaining stalks can then be donated to a farmer to be used to feed goats or other livestock. Emotional satisfaction – The idea of producing high-quality foods for future use – and from scratch – can be very satisfying. The best way to feel totally confident in what is sitting on the shelf or in the freezer is to simply follow the approved guidelines and steps established by science and research; not necessarily from a blog, Pinterest or a Facebook post. For more information on home food preservation, contact your local USU Extension office or visit the National Center for Home Food Preservation at www.nchfp.uga.edu. If you want fresh, locally grown produce, farmers markets are the perfect place for you! Find a farmers market near you and support growers in your community. Quick tip: bring cash and a few reusable grocery bags so you can shop to your heart’s content. Sundays, 10 a.m. – 2 p.m.
Thursdays, Fridays, and Saturdays, 10 a.m. – 6 p.m.
Thursdays, 3 p.m. – 8 p.m.
Thursdays, 3 p.m. – 7 p.m.
Fridays, 4 p.m. – 7 p.m.
Fridays and Saturdays, 9 a.m. – 5 p.m.
Wednesdays, noon – 5 p.m.
Saturdays 9 a.m. – 2 p.m.
Thursdays, 3:30 p.m. – 6:30 p.m.
Saturdays, 8 a.m. – 2 p.m.
Saturdays, 8 a.m. – 1 p.m.
Wednesdays, 5 p.m. – 8 p.m.
Wednesdays, 11 a.m. – 2 p.m. Lawn and patio outside the Building 8 Canteen. 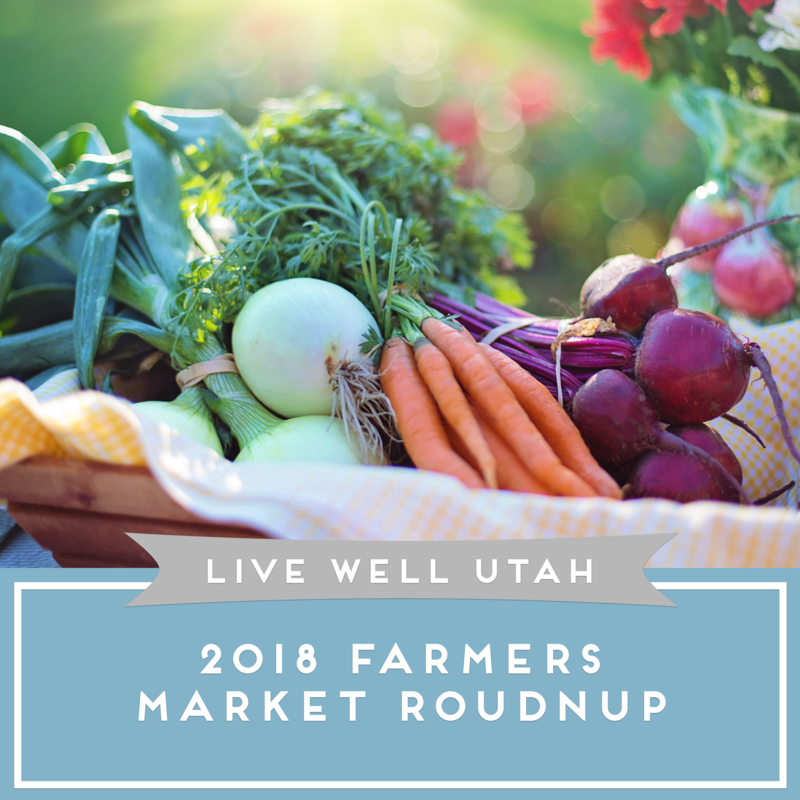 Saturdays, 4 p.m. – 6 p.m.
Sundays, 9 a.m. – 2 p.m.
*Markets marked with an asterisk utilize electronic benefit transfer (EBT) machines, allowing Food Stamp participants to use their benefits to buy fruits and vegetables at local farmers markets. Did we miss a market? Let us know in the comments! Summer is upon us and that means grilling season. 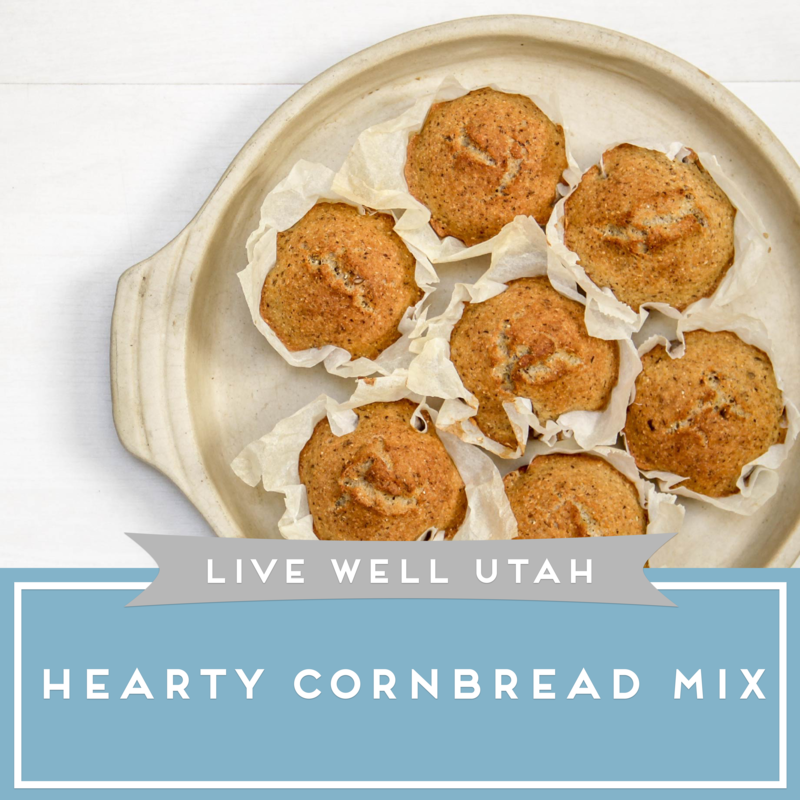 Check out this delicious cornbread recipe for your next cookout! Mix together wet ingredients and pour into dry mix. Stir lightly until just moistened and scrape into greased pie plate. Bake in 400 degree oven for 18-20 minutes or until done. 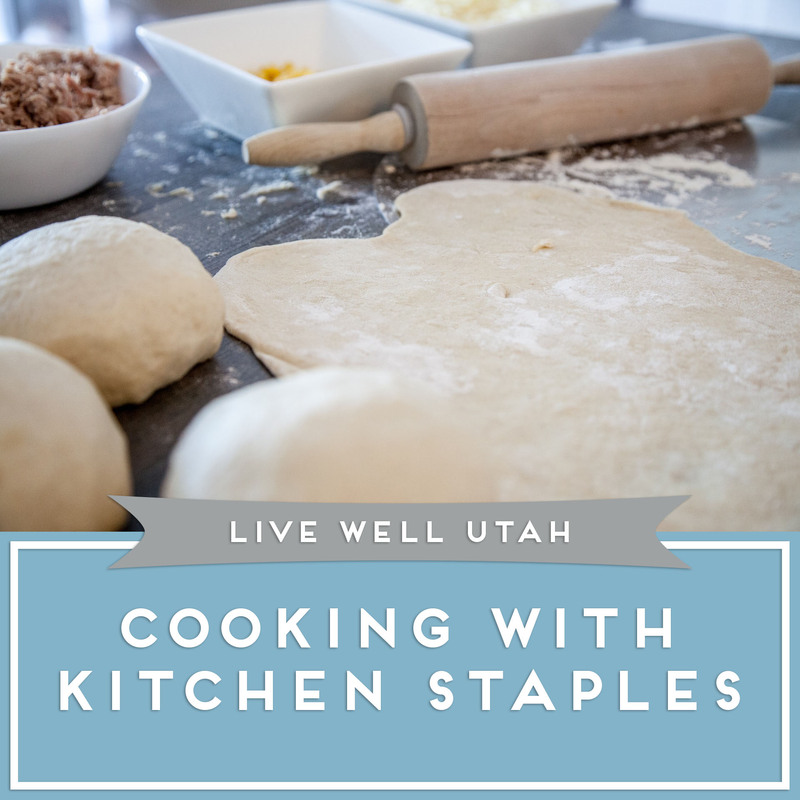 This recipe was contributed by Suzanne Prevedel, family and consumer sciences educator for USU Extension in Duchesne County. Focus on small changes. The Dietary Guidelines recommend starting with small changes that add up to lasting lifestyle changes over time. Perhaps that means starting your day with breakfast, drinking more water or reaching for fruits/vegetables at snack time. Prepare more meals at home. Gather your family around the table, share a healthy meal and make memories at the same time. Remember to talk positively about healthy foods—your kids are listening! Make your plate MyPlate. Focus on the five food groups and fill your plate with lean protein, whole grains, fruits, vegetables and a serving of low-fat dairy on the side. Choose healthful options when dining out. Request healthy side dishes and ask for modifications to be sure the meal meets your nutritional goals. Practice portion control by bringing half the food home for another meal. Find that balance. Weight management comes down to calories in versus calories out, so be sure to find that balance between the two by eating the right amount of food to meet your needs while finding ways to move your body through physical activity. This article was written by Kaitlin Anderson, news@postbulletin.com. With a few basic cooking skills and some common kitchen staples, you can cook a variety of foods in your kitchen. Try some of these basic recipes using flour, and learn more about the Youth Can Cook program. As part of the Youth Can Cook program, teens learn about basic cooking skills. With the combination of basic cooking skills and staple ingredients, the options are endless. Staple ingredients are ingredients commonly used for a variety of recipes. Today we are focusing on the staple ingredient, flour. Do you have a lot of flour but are not sure what to do with it? Flour is a kitchen staple that many people have on hand. It is a diverse ingredient used for making sauces, desserts, and tortillas. Here are a few recipes that don’t take long and might have you thinking outside of your normal routine! The following recipes call for whole wheat flour; feel free to use half whole wheat flour and half white flour, or just white flour for these recipes. In the bowl of a heavy-duty mixer set with a dough hook, pour in the flour, oil, and salt. Beat with the paddle until crumbly, about 3 to 5 minutes. Scrape the sides as needed. If your hand-held mixer comes with dough hooks, those can be used as well. Take out the dough and divide it into 12 equal-sized pieces. I do this by making the dough into a big log shape that is about 8 – 10 inches long. Then I cut it in the middle. Then I cut each of those pieces in the middle and so on until you have 12 pieces. Using the palms of your hand, roll each piece into a round ball and flatten it out on a baking tray or board. Cover with plastic wrap and let rest at room temperature for at least 15 minutes or up to one hour. On a lightly floured board or counter top, use a rolling pin to turn each ball into an 8-to-10 inch flat circle (measure against your recipe if printed on a 8.5 X 11 sheet of paper). Be careful not to use more than a teaspoon or two of flour when rolling out each ball into a tortilla because too much excess flour will burn in the pan. Add water and oil and mix well to incorporate flour mixture. Form dough into ball. Let rise 10 minutes while covered with a clean towel. Turn dough onto a well-floured surface. Using a rolling pin, roll out into a pizza crust shape. Place on prepared pizza pan or baking sheet. Cover with your favorite sauce and toppings and bake in preheated oven until golden brown, about 15-20 minutes. Combine the water, salt, yeast, flour, butter, and honey. Using the dough hook attachment, mix on low speed until well combined. Change to medium speed and knead until the dough is smooth and pulls away from the side of the bowl, approximately 4 to 5 minutes. Remove the dough from the bowl, and prepare a second bowl by rubbing vegetable oil along the inside. Place the dough in the bowl, cover with plastic wrap and sit in a warm place for approximately 50 to 55 minutes or until the dough has doubled in size. Line 2 half-sheet pans with parchment paper and lightly brush with the vegetable oil. Set aside. Bring the 10 cups of water and the baking soda to a rolling boil in an 8-quart saucepan. In the meantime, turn the dough out onto a slightly oiled work surface and divide into 8 equal pieces. Roll out each piece of dough into a 24-inch rope. Make a U-shape with the rope, holding the ends of the rope, cross them over each other and press onto the bottom of the U in order to form the shape of a pretzel. Place onto the parchment-lined, half-sheet pan. Place the pretzels into the boiling water, one by one, for 30 seconds. Remove them from the water using a large flat spatula. Return to the half sheet pan, brush the top of each pretzel with the beaten egg yolk and water mixture and sprinkle with salt. Bake until dark golden brown in color, approximately 12 to 14 minutes. Transfer to a cooling rack for at least 5 minutes before serving. Do you pay attention the cues your body sends you about hunger and fullness? Check out these tips about being a more mindful eater, and you may find you can skip dieting all together. Congratulations! You made it through the holiday season. As we are starting into the New Year, most of us have hit the reset button and have wellness on our minds. One of the things I hear most from people is how they need to cleanse from the holidays, so their answer is to go on a diet. A lot of those diets promise results of rapid weight loss by either removing or limiting certain foods, only eating certain food combinations, following a strict food intake pattern or taking a supplement. The bottom line is simple: if a diet or product sounds too good to be true, it probably is. Instead of a diet this year, why not try something that will stick? Mindful eating is not a diet, but a practice that focuses on how we eat, not just what we eat. Mindful eating involves eating slower and deliberately, avoiding distractions while eating (yes, step away from your desk to eat lunch), listening to your body’s hunger and fullness cues, eating food that tastes good and is full of nutrients and being aware of your emotions. Most of the food we eat is not directly related to hunger, but is often due to social activities, distractions or emotions such as stress, sadness or boredom. In order to start practicing mindful eating, first check in with your body. Do you notice a dull headache? Would someone use the word hangry to describe your mood? Or maybe you are on the opposite end, feeling content and ready for a nap? Below is the hunger and fullness scale. This tool is something you can start using today, without having to go out of your way. Most people recognize that they are hungry well past the first signs of hunger and then eat past the point of fullness. The time to start eating is when you are at a four, and the time to stop eating is when you are at about a five. Becoming a mindful eater takes time and practice. 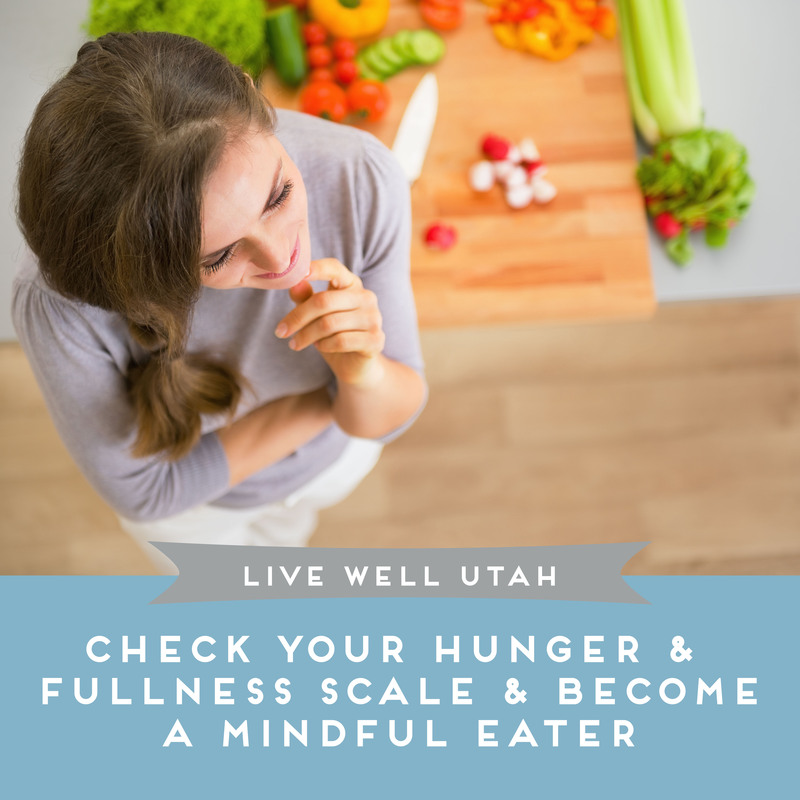 The ability to recognize your own hunger and fullness cues will help you as you become a mindful eater. For more information, check out this factsheet: Mindful Eating: Benefits, Challenges, and Strategies. This article was written by Jaqueline Neid-Avila, Utah State University Extension assistant professor. Jaqueline has lived all over the west coast, including Alaska and Hawaii, and is currently based in Salt Lake City. 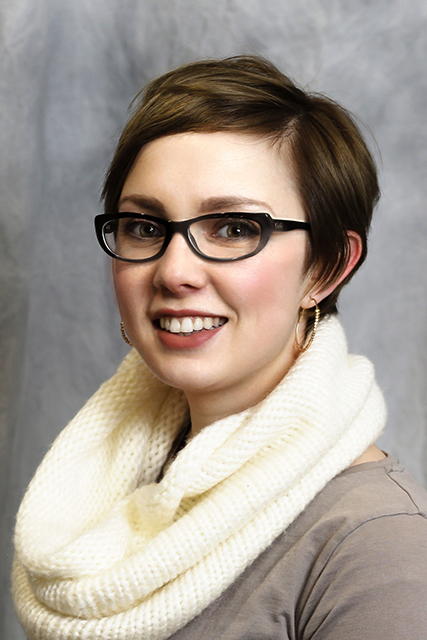 She graduated with a Master’s in Dietetic Administration from USU and became a Registered Dietitian. Jaqueline almost majored in engineering, however sitting in front of a computer all day crunching numbers and solving problems did not seem appealing, so she switched to food and people, which she loves. However, ironically, she still sits in front of a computer most days, crunching numbers and solving problems. Teaching people about how easily they can adapt their current routines to make them more nutritious is a passion for Jaqueline. Since she teaches people about how to make changes in their food, she often experiments. Ask anyone in her office — they love sample days! Keep your menu plan fresh with seasonal fruits and vegetables — even in wintertime! We’ve got a recipe roundup for you, plus two new recipes at the end; one for pineapple pear crisp and the other for balsamic and bacon Brussels sprouts. 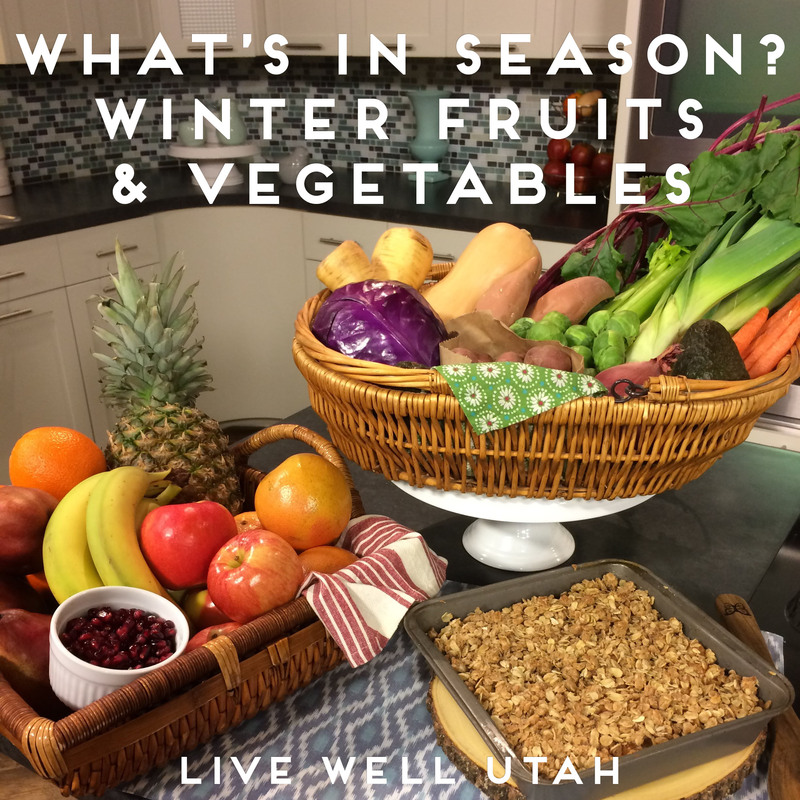 Tune in to Studio 5 on Monday to see Live Well Utah Editor Marta Nielsen demonstrate these new recipes with Brooke Walker. Eating in season is something we think about in the summertime when our gardens are bursting with raspberries, tomatoes, peaches and zucchini, but you can eat in season all year long! Stores may carry out-of-season foods in the winter, but you’ll usually find lower prices and higher quality produce when you shop in season. It’s easy to keep winter-season fruits like apples, bananas, grapefruit, oranges and pears on your counter for healthy snacking. Pineapple and pomegranate are also in season, and can be purchased already prepped and ready to eat, or you you can save on costs and do your own prep-work and keep the ready-to-eat fruit in the fridge. If you have healthy food options visible and accessible, you’re more likely to make healthy choices! 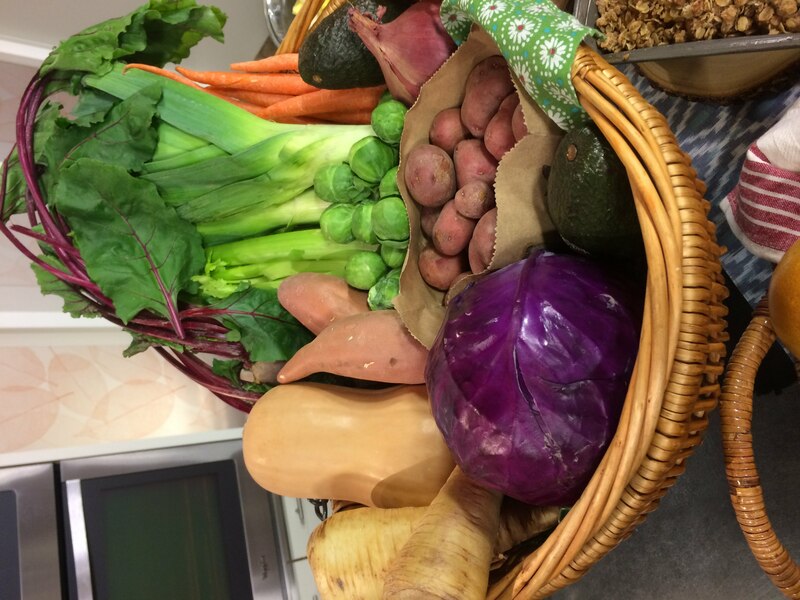 There are also many vegetables that are in season in the winter, such as avocados, beets, Brussels sprouts, cabbage, carrots, celery, kale, leeks, onions, parsnips, potatoes, sweet potatoes and winter squash. These veggies work perfectly for those warm-me-up foods we love to eat in the winter like soup, or oven-roasted veggies. This gingery crisp is a little bit tropical, but still a warm-the-belly kind of dessert that is perfect for colder months. This recipe maximizes the sweetness and flavor of the fruit with minimal added sugar and oil, and uses hearty whole grains in the topping. Serve it topped with frozen yogurt for added decadence. Serves 6 people. Chop pineapple into ½-inch pieces and set aside in a medium-sized mixing bowl (be sure to get all the pineapple juice left from cutting and chopping into the bowl). Peel, core and chop pears into ½-inch pieces, and mix with pineapple. Add cinnamon, brown sugar (or honey) and fresh ginger to the fruit, and stir so that it is coated evenly. 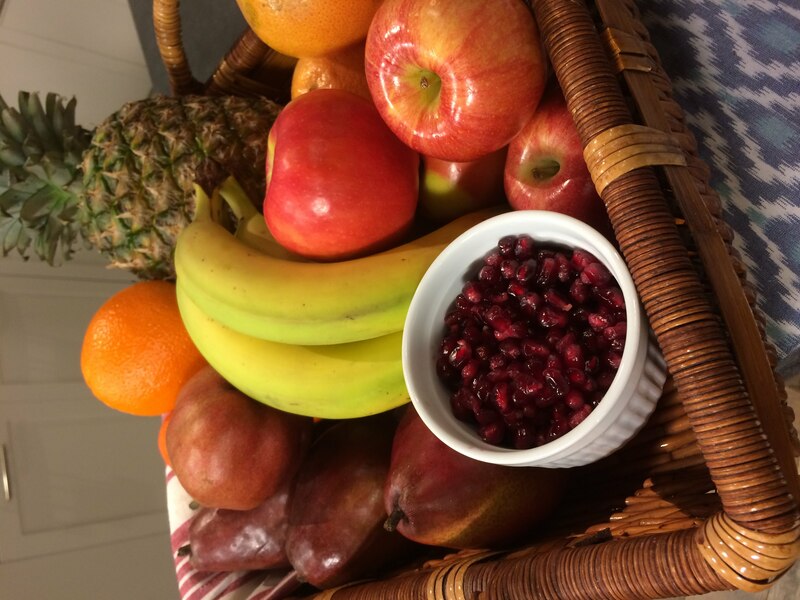 Transfer fruit to a 9×9 baking dish. To prepare topping, mix dry ingredients in a medium-sized bowl until well combined. Add melted butter, and stir until mix loosely holds together. Spoon crumble mix evenly over fruit, and bake for 30 minutes. Cover crumble with foil, to prevent over-browning, and bake an additional 5 minutes (or until pears are tender). *Be sure to use ripe pears. Unripe pears will not soften sufficiently when baked. Bosc and D’anjou pears work nicely in this recipe. This out-of-this-world Brussels sprouts recipe will convert even the most skeptical taste testers.The Brussels sprouts are are roasted, tossed with a zesty balsamic vinaigrette, and topped with bacon crumbles and pomegranate arils—what’s not to love? Recipe serves 4 generously. Place bacon on a foil or parchment-lined baking sheet, and bake for 10 minutes, or until crispy. When bacon is cooked to your liking, remove from baking sheet and set aside. Brush around rendered bacon fat to evenly coat lined baking sheet, and drain off any excess (this will enhance the flavor of the Brussels sprouts as they roast). Meanwhile, prepare Brussels Sprouts by trimming the ends and cutting in half. Toss Brussels sprouts with oil, salt and pepper. Next, evenly arrange Brussels sprouts, cut side down, on the lined baking sheet used to cook the bacon. Roast for 20 minutes, or until sprouts are easily pierced with a fork. For smaller Brussels sprouts, 20 minutes will yield sprouts cooked soft all the way through. If you prefer a little crunch left in your vegetables, check doneness at 15 minutes. While Brussels sprouts roast, crumble the cooked bacon and prepare the dressing. Whisk together all ingredients in a liquid measuring cup for easy pouring. If you are seeding your own pomegranate, versus buying the arils alone, you can also do this while the Brussels sprouts roast. Transfer roasted Brussels sprouts to a serving dish, and top with balsamic dressing. Stir until evenly distributed, and top with crumbled bacon and pomegranate arils. 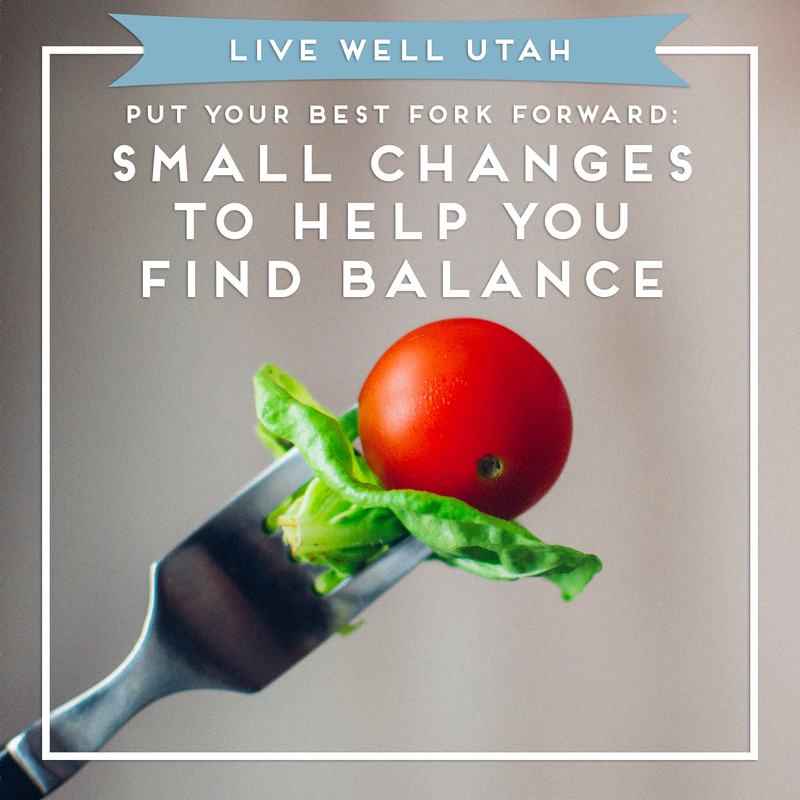 Marta Nielsen is the editor of Live Well Utah. 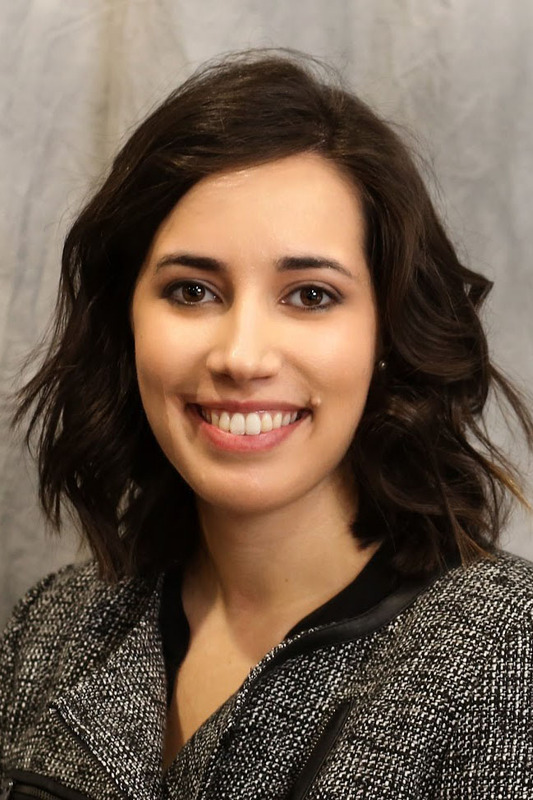 She did not attend Utah State University (she graduated from another university whose colors are red and white), but loves working for USU Extension. Marta loves to cook and eat, garden, craft, travel, and read. She makes specialty cakes for family and friends as a hobby, and has been talked into making a few wedding cakes in the past. She and her husband have two small children, and live in Salt Lake County. See more contributor bios here.